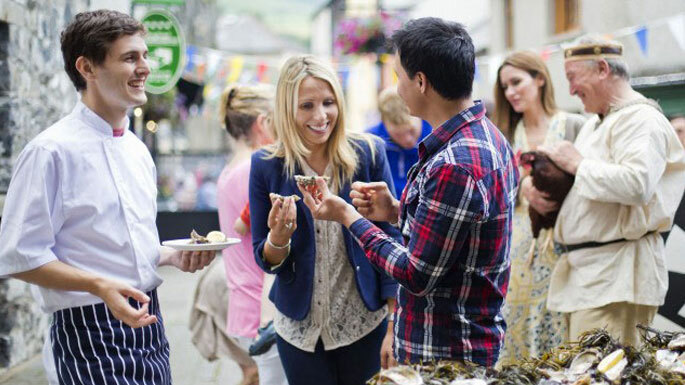 This annual Oyster Festival takes place in August. With Oyster Pearl Welly Hunts for kids, there is plenty of family entertainment built around the Oysters. This annual festival takes place on in August. It’s a foodie’s dream complete with Oyster Pearl Welly Hunts for kids and artisan food stalls for adults, there is plenty of family entertainment built around the Oysters. A fun fair, bouncy castles, face painting and a Teddy Bear’s Picnic and lots more. With a great village atmosphere and plenty of craic in the parks and pubs. A great weekend of fresh, local cuisine and carefree fun for the family.